I admit I’m actually a bit surprised that he won. He’s too intellectual, too mild-mannered, too unpopular with the PQ elite, too cautious for the hard-liners, too last-generation for the progressive youth. 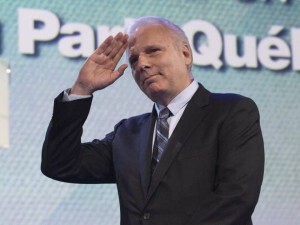 But I admit that, as someone opposed to most of what the PQ stands for and in particular disgusted by the identity politics game that they have been playing over the past few years, I have a weird sort of respect for Lisée. It’s the sort of respect you give to a political opponent, sure. But it’s the kind of respect I was able to have for a Lucien Bouchard but not for a Pauline Marois, a Bernard Drainville or a Pierre-Karl Péladeau. At any rate, the PQ still trails badly behind a fairly unpopular Liberal government, and is unlikely to get back into power anytime soon. So this probably doesn’t mean much in the short term.